You’ve finished your backing, your top quilt looks perfect, your batting is cut to size. 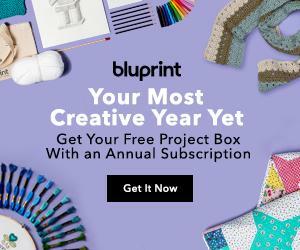 You’re finally ready to start quilting, right? Not so fast. There are a few more steps you have to take before you can sit down at your machine and start stitching. First, you’ll need to make your quilt sandwich. Second, you’ll need to baste it. A quilt sandwich consists of the top quilt, batting and backing. These three components are what make a quilt a quilt. Creating your sandwich is easy, but you’ll have to stack each component in the right order. Start with your backing with the wrong side up. Next, add your batting (you can read out quilt batting guide here). Finally, add your quilt top with the right side up. When creating your quilt sandwich, make sure that your quilt back is 3’ larger than your quilt top on all sides. Your batting should be the same size as your back. Before you start assembling your sandwich, take the time to press your top and back layers. This will ensure that your layers are even and that you wind up with a wrinkle-free quilt. If your batting is wrinkled, toss it in the dryer with a wet cloth or spray it with water first. The concept of a quilt sandwich is simple. Finding space to lay out your sandwich can be tricky. Fortunately, you have a few options here. Table: If you have a large table, you can place your entire quilt sandwich on the table’s surface. Use heavy objects or tape to hold the layers in place. Wall: Depending on the quilt’s size, you may be able to hang it on the wall. Use painter’s tape or some sort of low-tack tape to hold the layers in place. The advantage to hanging your quilt on a wall is that gravity will ensure that your layers are even. Floor: The simplest and most common solution is to lay your quilt on the floor. This works best on hard-surfaced flooring. Carpeting isn’t ideal for creating your quilt sandwich because the layers can’t lay perfectly flat. Before you move on to the next step, check to make sure that your layers are still properly aligned. You can check this by placing a large square ruler in one corner. The edges of the ruler should be flush with the quilt top’s edges. Be careful not to stretch the quilt top out of shape. Now that you’ve assembled your quilt sandwich, it’s time to baste. Simply put, basting is a technique that temporarily holds the layers of the quilt sandwich together as you quilt. There are several ways to baste a quilt. Basting spray uses a temporary adhesive that’s specially formulated for fabric and holding the layers of a quilt sandwich together. All you have to do is spray the wrong side of the quilt top and back, and layer your sandwich as normal. Just make sure that the can you buy has the word “temporary” on it. Otherwise, the adhesive may not wash away later. Spray basting is fast and effective. It also leaves fewer wrinkles compared to other basting techniques. But it’s also an expensive method, and you probably don’t want to breathe in the spray. Spray basting should only be performed in a well-ventilated space and not while you’re pregnant. One of the simplest and most popular basting methods is pinning. With this method, you place safety pins all over the quilt sandwich to hold the layers in place. Pin basting can be tedious and time-consuming, but it’s a cost-effective technique that works for quilts of all sizes. Many quilters prefer to use 1-1/2″ safety pins or 1-1/2″ curved basting pins. These are just the right size for holding the layers in place without leaving large holes behind. You’ll need a lot of pins for this basting method – at least 100 for a twin-sized quilt. As a general rule of thumb, you should not be able to put your hand on the quilt without touching a pin. Hand basting is the practice of using long, loose stitches to hold the quilt layers in place. 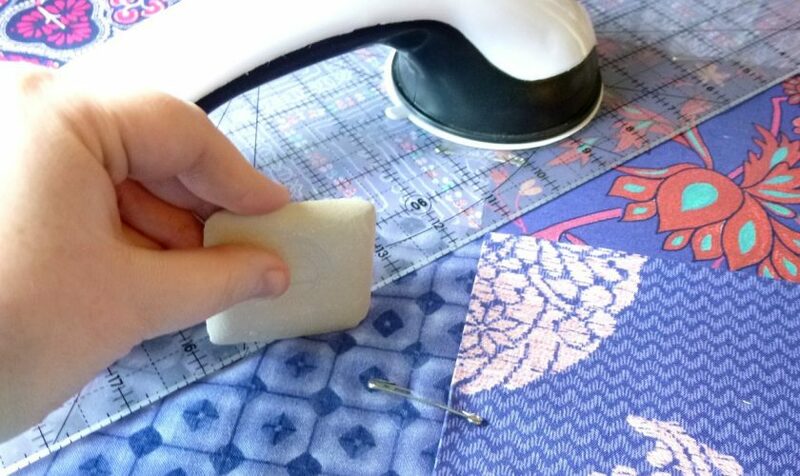 This method tends to work best for those who are hand quilting their projects. As you quilt, you can remove these loose stitches by snipping the threads. Many quilters use a fusible product to baste their quilts. With this method, you place a large swath of double-sided fusible web on each side of the batting. This will fuse the quilt sandwich and hold the layers in place. Alternatively, you can use fusible tape to create basting tacks between the sandwich layers. Fusible material will add to your project costs, but it will also save you time.